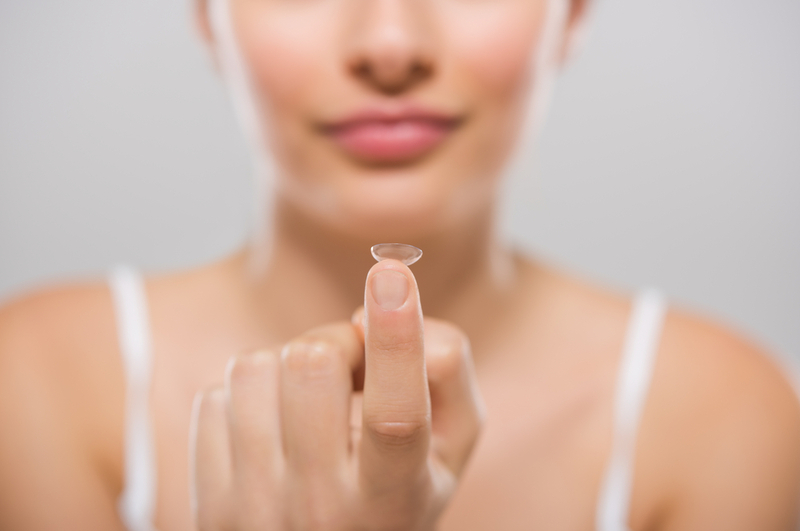 An impressive 36 million people in the United States wear contact lenses. While this is undoubtedly a large number, you may be surprised to hear that many of these millions were apprehensive, to say the least, about inserting a foreign object into their eye the first time. Although contact lenses are very safe, many people refuse to wear them out of fear. From having a contact lost behind the eye (not possible) to worrying about the uncomfortable feeling of having something strange rest on your eye, these fears are only natural, if unfounded. If you are someone who could benefit from wearing contacts but just hasn’t mustered the courage to take the plunge, we’ve compiled a list of tips for you. As a leading Dallas-Fort Worth vision center, it is our goal to provide you with the information you need to make the right decision for your future. While many people prefer prescription eyeglasses, contacts are a less obtrusive alternative. Not so long ago we discussed why you shouldn’t fear a contact lens exam, and today we are going to build upon that a bit. As always, we encourage you to contact First Eye Care DFW if you have any questions or need clarification on anything. We understand how intimidating it can be to step outside of your comfort zone and give contacts a try, but if you are like the millions of other people who have made this transition, you’ll never look back. Getting over your fear of wearing contact lenses likely won’t happen overnight. However, if you are tired of wearing glasses and curious if the grass truly is greener on the other side, contacts could be in your future. Not only are they an aesthetically-pleasing way to correct your vision, but they are much more convenient. If you have questions or would like more information about contacts, our FAQs page is a wonderful resource. Practice – If you are thinking about purchasing contacts but are apprehensive about touching your eye (don’t worry, this is a very common fear), one of the first things you can do is practice putting a contact in. The best part? You don’t even need a real contact lens to do this! Simply wash and dry your hands thoroughly then take your clean fingers and gently open your eye pulling up on your upper eyelid and down on your lower eyelid. Lightly touch your eyelids, eyelashes, and finally the whites of your eye. If you do this consistently for a few days, you will be on your way to desensitizing your eyes to having objects in and around them. Look in the mirror – Once you feel comfortable with the above step, you can try this one. One of the biggest issues people have with contacts is seeing that incoming finger and contact. This can be downright scary, especially if you are a newbie. After you feel comfortable touching your eyelids and eye, try looking into the mirror when practicing, rather than focusing on the finger coming your way. It also helps to look up when you insert the lens, then gently slide it up in the correct position. Doing this from the mirror’s perspective helps take away the fear that many people have. Talk to an optometrist – Last but certainly not least, discuss your fears with your First Eye Care DFW optometrist. You are not alone in being apprehensive about inserting contacts, and our friendly team of professionals is here to ease your mind. If you have additional questions about wearing contacts or would like to come in for a contact lens fitting, please do not hesitate to contact us today.